When it comes to a funny idea, Will Ferrell and Kristen Wiig are pretty much down for whatever. Want proof? They secretly made a Lifetime movie just for laughs. The flick is called A Deadly Adoption, and it's simultaneously a parody of and homage to the network's terrible TV movies. The film features Ferrell and Wiig as a married couple who allow a young pregnant woman (Jessica Lowndes from the 90210 reboot) to live with them in the hopes of adopting her child. 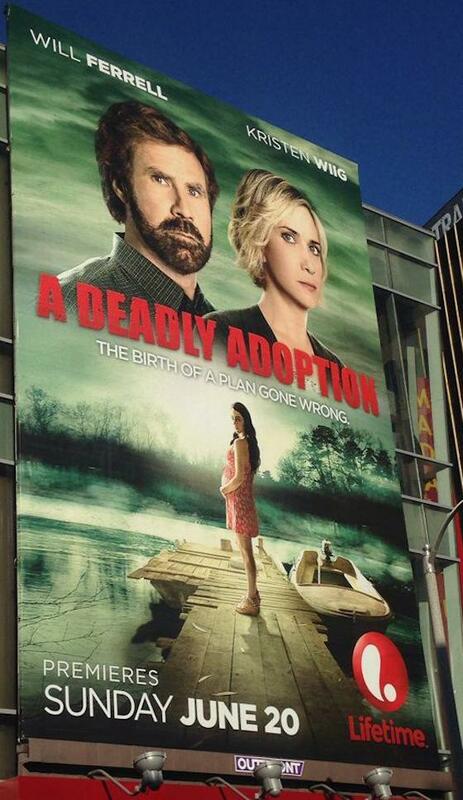 A Deadly Adoption will hit Lifetime on June 20. The film's ridiculous poster is available above (courtesy of The Hollywood Reporter's Rebecca Ford).